Writer Jay Faerber (COPPERHEAD, SECRET IDENTITIES) and artist Fran Bueno bring readers a new tale of crime, horror, and romance in GRAVEYARD SHIFT. The complete miniseries will be collected into trade paperback and available this May. Liam and Hope are deeply in love, but when Liam attempts to arrest a serial killer who turns out to be a vampire, he incurs the wrath of the vampire's brood, who retaliate by turning Hope into a vampire. GRAVEYARD SHIFT follows Liam and Hope as they try to cope with her new "condition," while trying to bring down the other vampires once and for all. 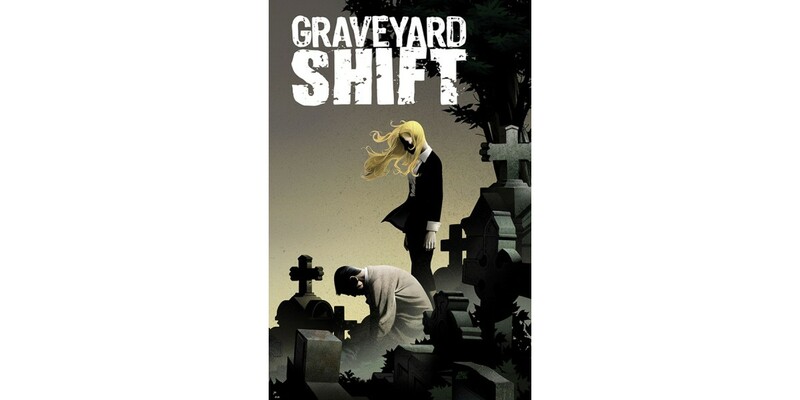 GRAVEYARD SHIFT (ISBN: 978-1-63215-375-3) hits comic book stores on May 20 and bookstores on June 2, and will be available for $14.99. It can be ordered by retailers from Diamond Book Distributors with Diamond Code MAR150535.